The latest storage solution from Promise, Pegasus 2, certainly lives up to the company’s known ability to provide state-of-the-art equipment for members of the creative industry. What’s more, the Pegasus 2 is now available to lease from HardSoft on a flexible business lease basis. Speed…There is no denying that the Pegasus 2 is really fast. 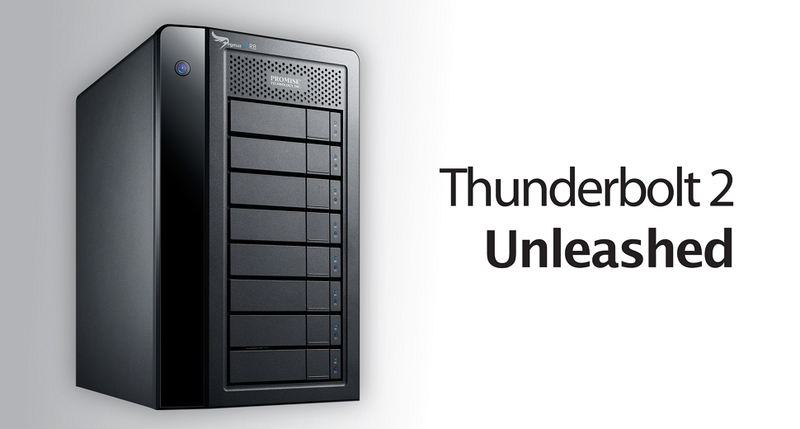 It allows maximum throughput of Thunderbolt 2 at 20 Gbps – that’s double the speed of the previous generation. This enables it to support the streaming and broadcasting of 4K (4000 pixels) and 3D video. Often requiring about 15 Gbps to do this, the Pegasus 2 really does go above and beyond. To put this little machine’s abilities into perspective, the four bay specification is capable of performing at 500MB per second whilst the six bay can manage up to 800MB. That’s pretty impressive ! The only computer available to support this currently is the new Apple Mac Pro and Retina . Back-up with Pegasus 2 is simultaneous as well as secure…The Promise RAID engine means you can securely back-up that huge video project whilst it is being broadcast. It doesn’t take long either. Terabytes of data can be securely transferred in a matter of minutes as opposed to hours or even days. For the Mac users amongst you, it also supports Time Machine in OS X. 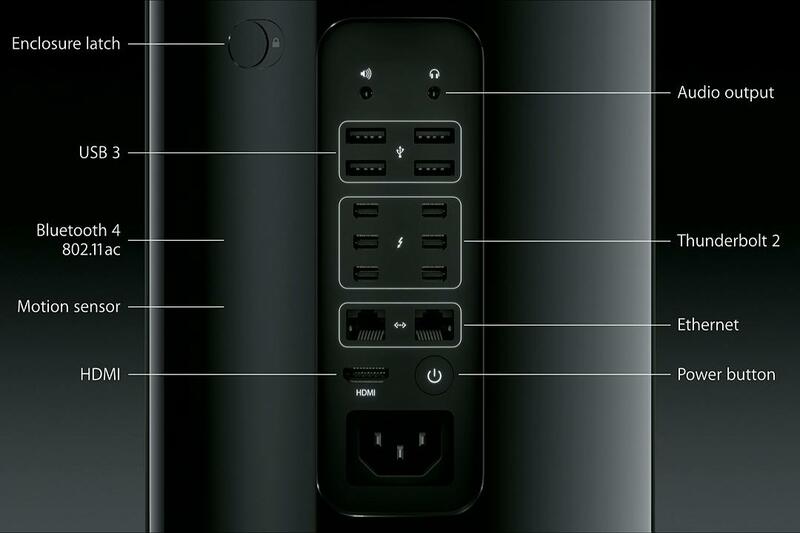 It works alongside other great Apple products for even better performance…Pegasus 2 can be combined with the much anticipated Mac Pro as well as the MacBook Pro with Retina Display (both products are also available with HardSoft on a lease basis).The use of Thunderbolt 2 is accelerated when attached to the Mac Pro and storage capacity can be easily expanded by daisy changing the various Pegasus 2 drives. You will able to manage your big creative projects quickly and easily. Pegasus 2 is portable without sacrificing its greatness…This is a vital requirement for the creative industry. It can be taken with you wherever you go to ensure any offsite work undertaken remains securely stored and backed-up. Whether you are in the middle of nowhere taking photographs or are onsite somewhere doing some movie making, the Pegasus 2 will be with you. In terms of appearance, the Pegasus 2 is attractive and compact so it won’t make your office or desk look unsightly. It’s also environmentally friendly and easy to maintain as drive bays can be easily removed if necessary. The Pegasus 2 is available on a Flexi-Lease basis from HardSoft with various specifications. It comes with up to 8 bays and up to 32 TB of storage so that you can choose the one to suit your needs. The Pegasus 2 4-Bay Thunderbolt2 8TB Desktop RAID including cable has a trade price of £790.60 but can be leased from HardSoft for as little as £8.90 per week – that’s just £35.60 per month. Alternatively, if you’re looking for something a bit bigger, the Pegasus 2 8-Bay Thunderbolt 2 32TB Desktop RAID including cable has a trade price of just under £2,500. With HardSoft, however, you can pay just £109.60 per month. Helping you to escape big upfront costs, you will be able to manage your company’s budget much easier. Taking out a Flexi-Lease also means that after 2 years you will be given the opportunity to renew and take advantage of any updates Promise have released. If you would like some more information on leasing the Promise Pegasus 2 from HardSoft then visit our website at www.hardsoftcomputers.co.uk or feel free to contact one of our sales team on 0207 111 1643.